Just want to let you in on an interesting update that has taken place in the BTC Robot development recently. A third BTC marketplace, BitStamp has been added to the tracking platform in the BTC Robot member’s area. 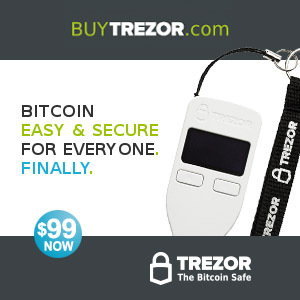 This will ensure the robot’s profitability regardless of whether the price of bitcoin is going up or down. Therefore, you will get to keep more profits from your trades. Here is a screenshot of my results after changing to Aggressive setting on 19 Oct till now. After changing from Medium Risk to Aggressive mode, I have enjoyed a much higher return. From the screenshot, you can observe that there are much fewer trades per day ever since I switched to Aggressive setting. This is perfectly normal since at this setting, the robot will perform more long-term trades. Thus, there are less transaction fees incurred due to lesser trades. However, you will get to keep more profits. Great information and thanks for your help the other day. You pointed me in the right direction and all worked out good,have place bitcoins into my account,you made this much easier. 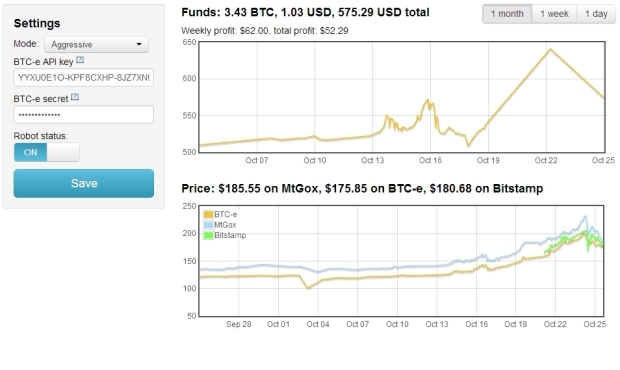 Looking into the the picture of BTC-e, how can I calulate my profits? 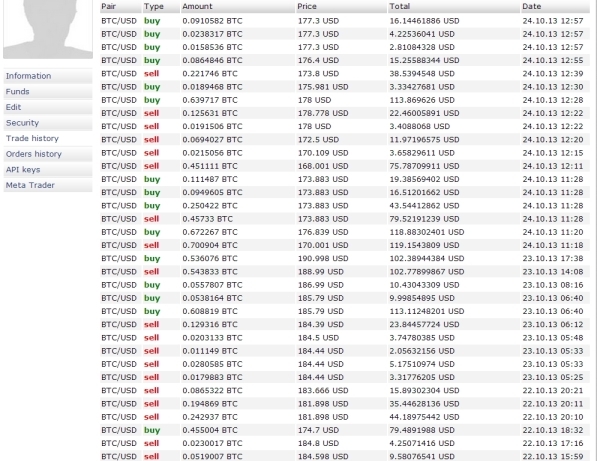 I am used to normal trading where I see when I gain more money (+) or when I lose (-). How can I do the same on this?